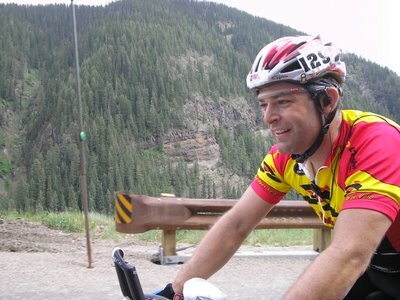 On September 7th 2007, cyclist Bryce Lewis collided fatally with a right-turning dump truck in Seattle, Washington. On October 11th 2007, cyclist Tracey Sparling was struck and killed in Portland, Oregon by a right-turning cement truck. Two collisions, two young riders dead. Two cycling communities mourning and questioning. I can wish for a world where trucks don't have blind spots, drivers and riders are always attentive, lane markings save lives, and human beings don't make mistakes. But that is not the world in which I live and ride. Trucks and cars do have blind spots. Human beings, myself included, are not perfectly attentive. And some bike lanes, some times and some places, send cyclists to exactly the wrong spot on the road. I can wish for the ability to turn back time, to make something different for Bryce and Tracey and two truck drivers. I can even work, slowly (I wish it wasn't slowly but unfortunately it is) to change lane markings and habits. Folks like the Effective Cycling people and the League of American Bicyclists point to the need for more education but I think they have a problem with packaging. Both groups have good information but it's locked in big books and multi-day classes. They package their message in long sermons delivered to the choir and then they wonder why their message isn't reaching the wider world. Michael very compactly describes the ten most common car/bicycle collisions and gives practical advice for avoiding them. He also has a good, sensible reprint and linking policy that lets folks like me do things like use a graphic from his site to illustrate this blog post. If you look at Michael Bluejay's spot (and I really hope I've convinced you to take the time to look at it), you'll see that several of those ten common crashes involve the cyclist being where the driver isn't looking and/or being in the driver's blind spot. I call this the "suicide slot", being to the right of a right turning car. Now you may say "suicide slot" is a loaded term, that I'm blaming the victim, that the driver should see the cyclist. Well, we can talk about what drivers should do, but as near as I can tell not everybody does what they "should" do. So even even they "should" look to the right, I'm thinking some won't. And if I'm off to their right anyway, well that strikes me as suicidal. But maybe it is a loaded term. Loaded like a gun. And like a gun, it can kill you. So I'm trying to plant the meme of the "Suicide Slot" and get more cyclists avoiding the slot. If a bike lane puts me in the suicide slot at an intersection, then I'd argue that the bike lane is wrong. If I am going straight through an intersection, I will be where the other straight heading vehicles are. In the lane, taking my turn. Finally, I'd like to say that cars are not the enemy. The two biggest enemies to all users of the roadways are inattention and impatience. Be careful out there. Take the lane when you need to. Take your turn at intersections. And stay out of the suicide slot. This reminds me that this is a good time to revisit these ideas with my children. Thank you. A buddy of mine, riding in front of me on a rural road shoulder, was hit by a car turning right into a convenience store parking lot. Fortunately, his injuries were minor. I just wanted to chime in and say that the same concept applies to cyclists riding on shoulders of rural roads. Being aware of the traffic on our left side, and what they are doing, is critical. Thanks, Kent, for your good work. 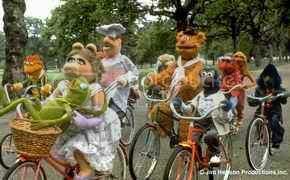 Great post on bike safety! I always try being where motorist will see me. Sometimes that makes them mad but at least they see me. I have this theory that there's very few people that will intentionally hit a cyclist but plenty will not see you or will try squeezing by and hit you accidentally. There's a few people that I think will intentionally hit cyclists and I don't think it really matters where you're riding in that case. I've been involved in two "Right Hook" style accidents while riding. Both times I was passed by a car that then turned in front of me. The first time I hit the car, went over the car, and broke my collarbone. Twenty years later the car forced me into the curb as I was at maximum braking and I went over the handlebars causing "soft tissue" damage to my shoulder. In both cases I contributed to the accident by not acting like the driver expected, ie doing 25-30 mph on level ground. In the case of the two recently killed cyclists the common thread was a truck turning right with a cyclist next to the truck. I'm not saying that the truck drivers are blame free, but both cyclists are partially at fault for getting next to the trucks at an intersection. Thanks for posting this. I just moved to England from Holland. Great bike paths to scary, too-close drivers (on the wrong side of the road). The bike lanes here, when they do exist, seem to be designed to protect pedestrians and to speed up car traffic. I don't think the safety of bikers even entered into the thoughts of the people who designed them. anyway, I'll be applying these tips and trying not to get hit. The PA Cycling Guide mentions that it is generally acceptable to pass cars (especially those stopped in traffic) on the right, but the cyclist should not pass or sit next to the first car at an intersection. Just went for a ride this morning ... stopped at a red light, behind the second car. I checked for a blinker, nothing ... light turns green, I start rolling behind the car ... he turns right. He didn't even know I was there. I was thinking about this blog at that light and low and behold I witnessed exactly what you were writing about. It pays to pay attention. Thanks for the reminder. Thanks for posting some common sense. These incidents tend to draw a line in the sand for people to choose their sides. Thank you for the timely reminder. I've passed a link (and commentary) along to the bike Fort Collins list. My experience has been that I am much more likely to get right hooked in a bike lane or shoulder when I am going 20 mph or faster. At 10 or 12 mph, this doesn't seem to happen. As we discussed this morning, Kent, the only time I've ever been hit by a car was riding down the Dearborn bike lane. Since it's at a slight downhill, my usual speed there is probably 20 - 25. That isn't that much different from typical car speed, so I just take the all-vehicle lane rather than the bike lane. Coming up Dearborn, though, my speeds are typically half that: 10 or 12 mph as I slog my way up. I've never had a bad interaction with a car on that road in the bike lane at that speed. What is true on Dearborn has proven to be true for me on many other streets. I believe then: you are much more likely not to be seen in the bike lane if you are going much faster than motorists expect. I also believe this is why beginning riders love bike lanes, and experienced riders are less enthusiastic. Yes, some of it is experience in road skills - but I think another major part of it is simply the relative speeds of experienced and less experienced riders. My rule of thumb is never pass to the right of a car that can possibly turn right. In other words, if I am coming up on the right of a car that has the possibility of turning right - either into another lane, a driveway, an intersection - I will slow down as needed to stay well behind the car. A related rule I use is never stop to the right of a car at an intersection. Either get in front of it where the driver can see you, or behind it where you won't get hit by a sudden right hook. I have logged 6300 miles on my bike in the greater Dallas area. I always ride to the center to center-left of the lane. I have been right-hooked zero times. When I was first taught how to ride a motorcycle, I was told "pretend you're invisible, and pretend everyone is trying to kill you." While those are not consistent with each other, they have managed to ingrain in me the art of self-preservation whether on my motorcycle or bicycle. I never stay in a vehicle's blind spot, whether moving or stopped. If I am beside a vehicle, I try to be even with the driver or farther forward so that they can see me, and I usually make eye contact with them. This has not always kept me safe from idiots or those too engrossed in whatever to notice anything around them, but my injuries have been few and non-serious as a result of my vigilance. I posted about the Tracey Sparling incident on my livejournal a few weeks ago. The point I made was similar, but I added what I think is an important consideration: blind obedience to lane striping was a major contributing factor. I am not anti-bike lane, at least not to the extent and not for the same reasons as the VC people, but there is no denying that a) Tracey Sparling died, in part, because of a bike lane that that led her into a deadly situation, and b) that there are lots more bike lanes that lead riders into unsafe situations. I think that it behooves us to communicate to our fellow riders that good judgment is the #1 tool on the side of their safety. By all means, use the bike lane, when it is safe. But when it funnels you into the "suicide slot," next to a lane where vehicles might be turning right, get out! It's all about not just following the lines on the pavement. Awareness of clear-headedness make a big difference in cycling safety. Today I saw two bicycle cops pull up in the suicide slot next to a large truck (completely in the blind spot) at a red light. I wanted to yell at them GET OUT OF THE SUICIDE SLOT (now that you've coined such a good name for the position). But just said nothing since I have a strange fear of getting ticketed by cops for doing the opposite of what they do. nice tip, I really like safety tips, that you've post, It gives me knowledge and the disaster it will cost, keep it up, thanks for the information.. There ought to be laws making the use of turn signals mandatory!